Their Tail Lights are made out of premium quality raw materials which do not fade even in harsh weather conditions and our built to last. AUTOGOLD Tail Lights are quality and class personified, purely aimed. designed for a direct-replacement fit; no rewiring, soldering or splicing required. 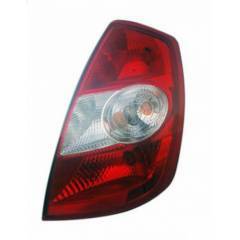 Autogold Right Hand Tail Light Assembly For Tata Indigo CS, AG221 is a premium quality Tail Light from Autogold. Moglix is a well-known ecommerce platform for qualitative range of Tail Light. All Autogold Right Hand Tail Light Assembly For Tata Indigo CS, AG221 are manufactured by using quality assured material and advanced techniques, which make them up to the standard in this highly challenging field. The materials utilized to manufacture Autogold Right Hand Tail Light Assembly For Tata Indigo CS, AG221, are sourced from the most reliable and official Tail Light vendors, chosen after performing detailed market surveys. Thus, Autogold products are widely acknowledged in the market for their high quality. We are dedicatedly involved in providing an excellent quality array of Autogold Tail Light.